The exhibit, which runs through March 30, will showcase a mix of photography and multimedia. It features art from UO students and visiting artists. The photography explores how nature changes through global development. 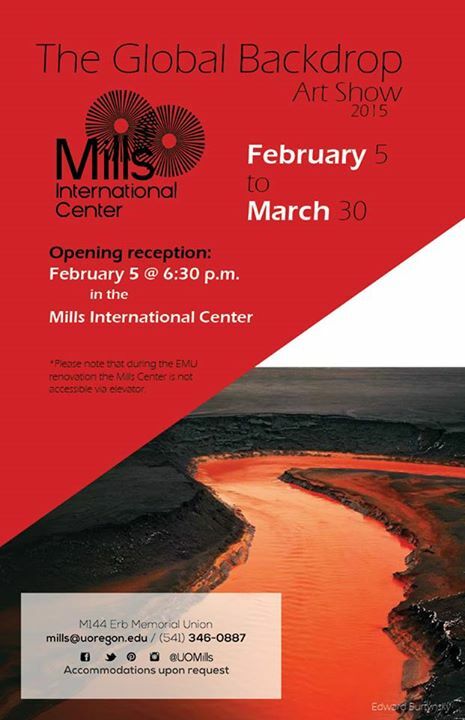 “The Mills curated images that offer a different perspective on the world of waste and industrial landscape, by exploring the subtle beauty within the world’s darker and dirtier side,” Scheffey said. Photographs from Hannes Bend, a visiting artist working on the “Third Culture Project,” feature the effects of human activities on skylines and oceans.